Download Bike Mayhem Mountain Racing “It’s the best game for playing. 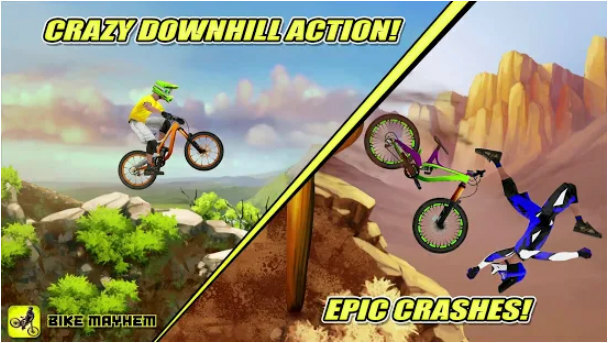 Best for time pass” -Reskin Mobile App Downhill mountain bike racing like never before. Race down beautiful trails, smashing over rocks and roots, boosting huge jumps, scoring insane trick combos, unlocking better bikes and gear for bragging rights as the King of the Mountain!